Spectacular colourful flying insects brighten up many natural surrounds. A sudden glint of red, green, blue and brown is a wild Australian experience the passing flitter of butterflies or moths. But which species are they? How do they metamorphose? What do they eat? How can we protect these much-loved insects? 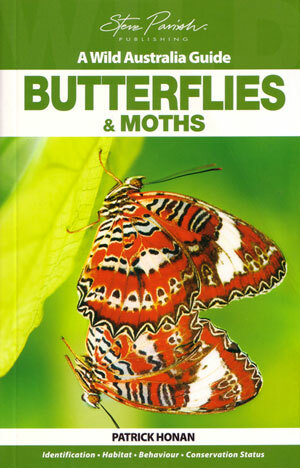 The nature of butterflies and moths their amazing transformation and their relationships in the wild makes them fascinating to study. This practical field guide introduces many species. From the largest butterfly in Australia, the Cairns Birdwing Butterfly to the very small family of “blues”. Steve Parish Publishing, 2008. Small octavo, paperback, colour photographs. Butterflies of the South Pacific. Artist/Author: Patrick, Brian and Hamish Patrick. From Kiribati, Tuvalu and Fiji in the west, to the far-flung Marquesas and Austral Islands in French Polynesia in the east, the Pacific Ocean covers over 50 million square kilometres. 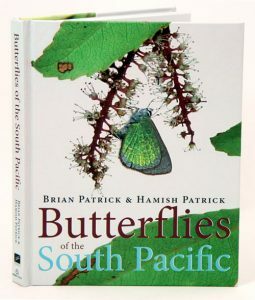 This book surveys (and discovers) the butterfly inhabitants of these tropical islands. For completeness, Hawai’i to the north and to the south temperate New Zealand, are also included. 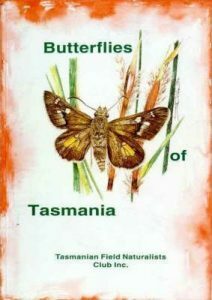 Species accounts include full colour photographs and details of wingspan, distribution, status and foodplants. The final chapter considers the impacts of human migration and population growth, and identifies conservation issues. With a love for adventure as great as his love for butterflies, one of America’s best-known lepidopterists set himself an irresistible challenge: how many of the 800 species of butterflies known in the U.S. could he track down in a single year? Packing little more than a butterfly net and favourite binoculars in his well-travelled 1982 Honda, Robert M. Pyle embarked on the first Butterfly Big Year – a 365-day, 88,000-mile sprint to every corner of America. 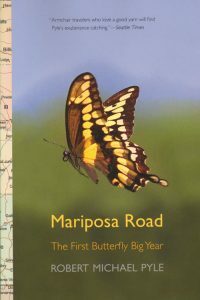 “Mariposa Road” is part road-trip tale, part travelogue, and part memoir of people and species Pyle encountered along the way. Most of all, the book is an unprecedented, intimate view of the entrancing world of butterflies, with new attention to their habitats in a time of environmental stress and climate change. From the California coastline in company with overwintering monarchs to the far northern tundra in pursuit of mysterious sulphurs and arctics, from the zebras of the Everglades to the leafwings and bluewings of the lower Rio Grande, Pyle completed an extraordinary journey, ruled always by surprise and discovery. With exuberance, humour, and honesty, he shares his adventures – and his amazing list of species, both identified and experienced. 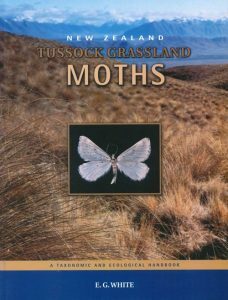 New Zealand tussock grassland moths. Artist/Author: White, E.G. et al. A taxonomic and ecological handbook based on light-trapping studies in Canterbury. Line drawings, colour plates and a glossary assist the reader to understand morphological terms. Taxonomic keys complement a range of scanning and networking features to locate species of immediate interest in the fewest possible steps. Distribution ranges and known larval foods are defined, and statistically robust selections of light-trapping data are used to clarify species abundances, flight phenologies, altitudinal distributions and faunal biodiversity.